The CDI Competency Assessment is the perfect tool to self-assess your CDI educational needs, or to evaluate your staff to pinpoint areas where they will benefit from education. The General Knowledge section comprises 40 questions as it’s designed to assess standard CDI competence with everyday issues. Each of the other three sections comprise 20 questions each. As students work through the assessment, they are provided feedback on their level of proficiency for each topic, identifying areas of strength and areas for further study. The Assessment is offered singly or as a three-pack. Managers will find the three-pack an ideal addition to their hiring process and onboarding tools. Use the first exam to assess a potential hire or benchmark proficiency level in their first week. Then assign the Assessment again after three months and after six months (or the cadence that works for you) to assess level of growth, ensure understanding, and maximize results. This tool saves time for both you and your staff, as you can eliminate unnecessary training and plan educational activities that will most likely impact your bottom line. Using the reporting tool in our convenient online training platform, managers not only review their staff’s overall scores, they can also download a detailed report to find out exactly which questions staff are struggling with. Individual takers can use the “Reading Your Results” guide to identify areas for further study and review. Laurie Prescott, MSN, RN, CCDS, CDIP, CRC, is the CDI education director at HCPro, an H3.Group brand, in Middleton, Massachusetts. She is an instructor for the CDI Boot Camps, a subject matter expert for ACDIS, a member of the CCDS exam board, and a member of the ACDIS Advisory Board. Prescott is a frequent speaker on webinars and the author of The Clinical Documentation Improvement Specialist’s Complete Training Guide and The Essential Guide to Supporting Quality Measures Through Documentation Improvement. Allen Frady, RN, BSN, CCDS, CCS, CRC, is a CDI Educator at HCPro and ACDIS, where he teaches clinical documentation improvement and risk adjustment boot camps and serves as a subject matter expert for ACDIS. Frady is an accomplished consultant and educator with a background in coding and documentation. His experience includes 12 years as a coding consultant, two years as a coding director at a 700-bed academic medical center with a 200-bed children’s hospital, and six years as a CDI consultant. His nursing experience includes work as a case manager and in cardiovascular care in ICU and telemetry. His consulting experience includes auditing and contract work, didactic education, project coordination, and account management. He holds both the CCDS and CCS certifications. He is a frequent speaker at national and state CDI and HIM conferences. 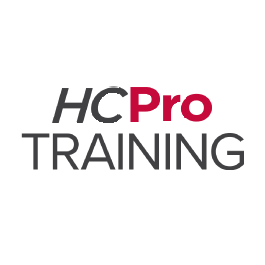 Sharme Brodie, RN, CCDS, is a CDI education specialist for HCPro, where she serves as a full-time instructor for CDI Boot Camps and as a subject matter expert for ACDIS. She has more than 35 years’ experience in the healthcare industry, including multiple areas of nursing, serving in a variety of roles at both large academic and small community hospitals. Prior to joining HCPro, Brodie worked as a consultant providing program audits, implementation advice, and continuing education for CDI departments—including physician education—in various healthcare facilities across the country. She has been responsible for the successful implementation and oversight of a CDI department and the revitalization of a CDI department at a small community hospital. She is the co-author of The Essential Guide to Supporting Quality Care Measures Through Documentation Improvement, and a frequent contributors of articles for ACDIS’ CDI Journal and CDI Strategies. She has been a speaker at the national ACDIS conference and is a frequent guest host on ACDIS Radio.